A collaborative blog by UC farm advisors and specialists in subtropical horticulture in California. DAVIS, Calif., Jan. 28, 2019 – California agricultural producers can voluntarily help the monarch butterfly on their farms and ranches through a variety of conservation practices offered by the U.S. Department of Agriculture (USDA). This assistance comes at a critical time as recent reports show the western population of the monarch butterfly is at an all-time low. 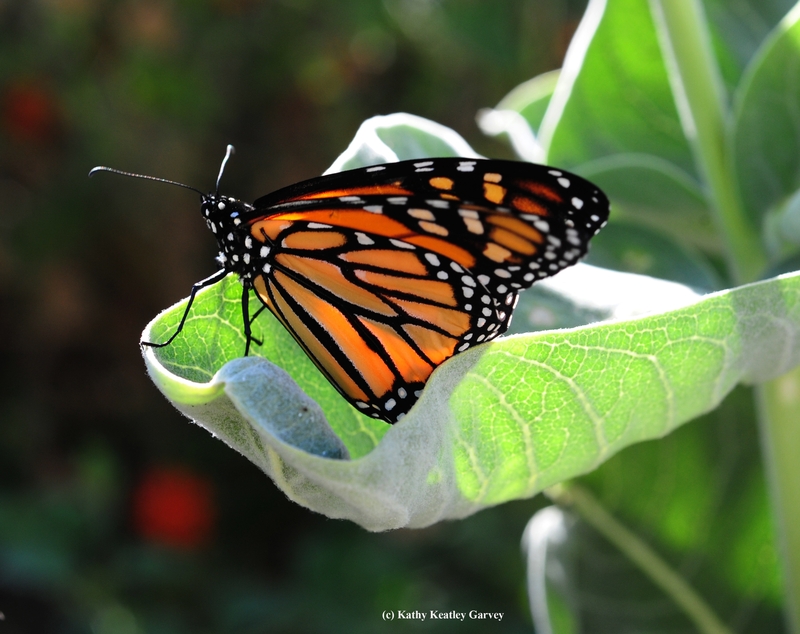 The overwintering monarch butterfly's western population declined by 85 percent between 2017 and 2018, according to counts released by the Xerces Society for Invertebrate Conservation. Nationwide, the species has seen population declines since the 1980s, in part because of the decrease in native plants like milkweed – the sole source of food for monarch caterpillars. As monarch butterflies migrate, they must have the right plants in bloom along their migration route to fuel their flight. Producers – especially those along California's coast and in the Central Valley and Sierra foothills – can play an important role in helping the species. Through a variety of conservation practices, NRCS helps producers improve management of healthy stands of milkweed and high-value nectar plants and protect these stands from exposure to pesticides. Planting native milkweeds is critically important to rebuild the western monarch population, but scientists at the Xerces Society recommend that milkweed not be planted within five miles of overwintering sites near the coast. It did not typically occur there and may prevent returning monarchs from going into their winter clusters. NRCS also recommends California producers to establish plants that bloom in the fall, as monarchs head to coastal overwintering sites, and in the late winter and very early spring, as the winter clusters of monarchs break up. These fall-blooming species include goldenrod and asters, and late-winter species include coyote brush, manzanitas, and native California lilac and other Ceanothus species. Read the complete news release online here.